FIRE officers are calling on people to look out for elderly family or neighbours after five people over 70 died in house fires in West Yorkshire in less than two weeks. Three of the fires were smoking-related, and three of those who died lived alone, West Yorkshire Fire and Rescue Service (WYFRS) said. The service is calling on people to be vigilant and look out for elderly people in their communities, especially those who live alone, who are more at risk of dying in a fire at home. The warning comes following the deaths of five people over 70 this month. They include 77-year-old Amy Vaughan, who died after suffering severe burns and smoke inhalation at a fire at her home in Nunns Close, Featherstone, on Tuesday July 21. Mrs Vaughan, a retired seamstress, was suffering from dementia and she was cared for at her home by her husband and daughter, the opening of an inquest in Wakefield heard this week. She was sitting on a settee that caught fire. Coroner David Hinchliff said Mrs Vaughan was a smoker and needed constant care. WYFRS said the cause of the fire is believed to be a dropped cigarette. An 88-year-old man was rescued from a fire at his home in Haworth on July 20, but sadly later died. The fire is believed to have been caused by a pipe. On July 13, an 80-year-old woman suffered serious burns after accidentally setting her clothing alight at her home in Methley. She was taken to hospital but sadly died just over a week later on July 21. 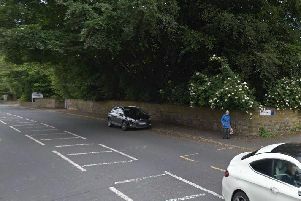 And on Saturday, July 25, firefighters were called to a house in Lightcliffe, Brighouse, where a 99-year-old woman was rescued and taken to hospital. Early indications are that the fire was caused by an electric blanket. WYFRD area manager for fire safety Ian Bitcon said: “Unfortunately being elderly brings with it particular risks which mean you are much more likely to die from a fire in the home. “If you are looking after an elderly person, keep an eye on accumulating clutter in the home as this can be a fire risk. Be aware that older furniture may not conform to standards and in many cases is not fire retardant. “Older people tend to be more likely to use electric blankets but it’s important to ensure that they are serviced and well maintained as they can also be a fire risk. “Loose fitting clothing can be easily set alight whilst cooking or lighting stoves. Also, if someone is a smoker and uses emollient creams to moisturise the skin then it may be better to use a water-based product rather than an oil-based cream as they can be flammable. “Another issue which is very much on the fire service’s agenda is keeping people suffering with dementia safe from fire. It is possible that people with dementia may revert to old habits, such as smoking, which they used to do much earlier in life. However, they may not have the same level of vigilance around smoking safely. “Fire service employees are trained to recognise symptoms of dementia and can give advice on how to keep people living with the condition safe in their homes. - Establish an escape plan – taking into consideration mobility issues. WYFRS can arrange a free home fire safety check by calling 0800 5874536 or your local fire station. Mr Bitcon added: “The key message here is to get in touch with the fire service for a free Home Fire Safety Check. Some older people may be under the misconception that this makes them a burden on public resources – however this is absolutely untrue.